It is time to let Taiwan back in. The 2016 InterNations Expat Insider survey of more than 14,000 expatriates globally ranked Taiwan as the best destination in the world. About 34 percent of expats in Taiwan are extremely satisfied with their work environment, more than double the average ratio worldwide. With a population of 23 million, Taiwan is a major transportation hub and an important economic and trade center in the Asia-Pacific region. In 2014, it was listed second among the top-10 safest countries of the world. However, in order to sustain a high level of public security at a time when cybercrime and terrorism continue to spread, it is imperative for Taiwan to participate in Interpol and work together with law enforcement agencies worldwide. Taiwan’s absence in Interpol affects global security. Taiwan became a member of Interpol in 1961 under the name the Republic of China, but was forced to withdraw in 1984 due to political factors. More than 30 years have passed since then, and at present only Taiwan and North Korea are excluded from the organization. However, Taiwan is vastly different from North Korea. The fact that Taiwan enjoys reciprocal visa waiver privileges with more than 100 other countries around the world indicates that the ROC passport might attract the attention of those engaged in transnational crime. Taiwan’s exclusion from Interpol—in effect denying it timely access to key intelligence as well as preventing it from participating in seminars and training workshops—creates a major loophole in the global security and counterterrorism network. Taiwan requires Interpol assistance, while Interpol requires Taiwan to ensure a comprehensive security network. Taiwan is ready and willing to participate in global police endeavors in fighting crime. Since 2009, Taiwan police agencies have collaborated with counterparts overseas to resolve 235 cases and arrest more than 12,000 suspects involved in organized fraud as well as transnational trafficking of drugs and persons, including children. Although Taiwan police have spared no effort in combating transnational crime, their requests for Interpol assistance have met with little support, as reflected in the fact that a response was received in only 27 of 90 enquiries made in the first nine months of 2016. In a world shaped by globalization, an international security network that does not include Taiwan inevitably leads to higher law enforcement costs for all parties concerned. 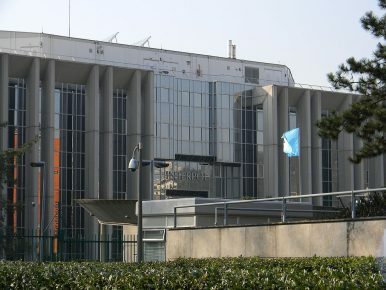 For example, only after Taiwan police had solved a $2.2-million ATM heist perpetrated in the country by 22 foreign nationals in July 2016, did they realize that European nations were highly interested in the case when Taiwan’s Criminal Investigation Bureau was invited to discuss it at a special meeting convened by the European Police Office. However, Taiwan police were unable to promptly share information they had uncovered on more suspects in the upper echelons of the crime ring; nor were they able to gain access to intelligence they needed. As crime is no longer subject to geographical constraints, Taiwan’s exclusion from Interpol creates a major loophole in the prevention of international crime, becoming a cause of concern for countries worldwide. Politics should not override public security; we urge you to support Taiwan’s participation in Interpol as an observer. Taiwan’s police, as part of the global police community, have the obligation, responsibility, willingness, and capability to participate in Interpol and work jointly with other police forces around the world. So as to avoid sensitive political issues, Taiwan is willing to attend the Interpol General Assembly as an observer. Although participation in this annual event would not lead to direct and prompt exchanges of intelligence with member countries, or access to their crime databases, Taiwan’s attendance at various meetings and events would facilitate interaction and compensate for the current lack of intelligence exchanges. This could serve as an initial step to meet basic needs for transnational law enforcement cooperation, without touching on political issues. Fighting crime is the police’s mission and responsibility. As police officers, we should transcend geographical, ethnic, and political differences, so that the global police community can work in concert to ensure social justice. We urge you to speak up for Taiwan at relevant occasions and support its participation in Interpol. Liu Po-liang is Commissioner of the Criminal Investigation Bureau, Republic of China (Taiwan).